Anyone over 40, cerebral arteriosclerosis is less well known to the public than heart disease, but it is just as common, and develops gradually over a lifetime. By the time serious symptoms develop, as with heart disease, the blood vessel occlusion is usually well advanced. Vinpocetine can minimize the structural / functional damage to brain neurons that may accompany gradually developing cerebral arteriosclerosis. Anyone who has noticed a decrease in memory, alertness, concentration, learning speed / ability, neuro-muscular co-ordination and reaction time, vision, hearing, or who suffers from tinnitus. Anyone who suffers from, or is known to be at risk for, various cerebral disorders - cerebral hemorrhage, stroke, senile dementia, transient ischaemic attacks, chronic cerebral circulatory insufficiency, etc. Anyone wishing to use a generally very safe, low side effect, brain metabolism enhancing, vigilance enhancing, cognition activating ''smart product.'' (Vinpocetine). We have chosen 3 different profiles for Vinpocetine users as choosing a single one would be too limited. The most obvious one, the elderly, as they have ''severe'' problems. But this is not necessarily the best user as cognitive deterioration is normally more advanced. Our principal user is the baby boomer (born between 1946 and 1960 in Anglo-Saxon countries), active, and starting to suffer from symptoms of memory loss. They enjoy high economic standards. They turn to a health care professional when suffering from slight problems that they probably would treat as ''due to age''. They are health concerned and will probably buy something new to enhance their memory capacity. Young people, who want to enhance their memory, such as students. They are a promising consumer but would probably not go to the health care professional because of memory loss as they still do not suffer from it. But they will ask health consultants at their health food stores for anything for memory when they come close to examinations. 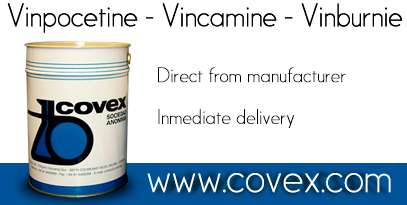 It is also important to note that Vinpocetine is not a drug and that it is not a stimulant so it does not have an immediate effect after just half an hour, it works gradually in time and its effects can be noticed after three or four weeks of intake.